The DeepSee menu contains a couple of items not described here. For information on DeepSee Visual Reporting, see Using DeepSee Visual Reporting. 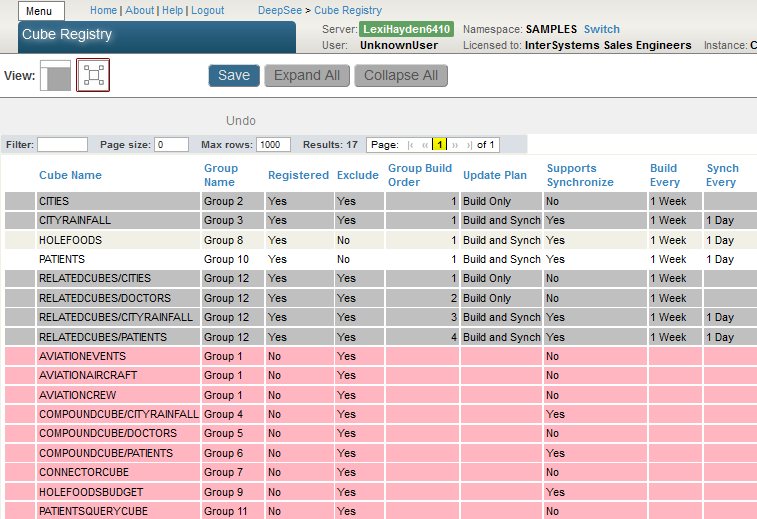 For information on the PMML Model Tester, see Using PMML Models in Caché. 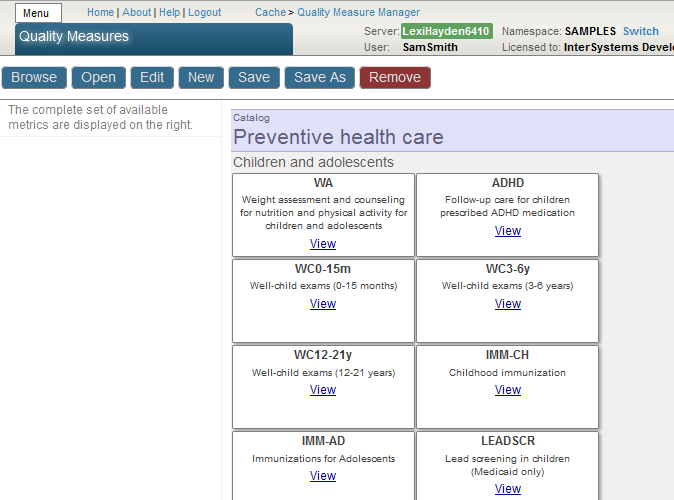 Tools  Provides access to the Query Tool, the Term List Manager, Quality Measures, and the Model Browser. Admin  Provides access to the DeepSee Logs, the Folder Manager, Settings, and the Cube Manager. 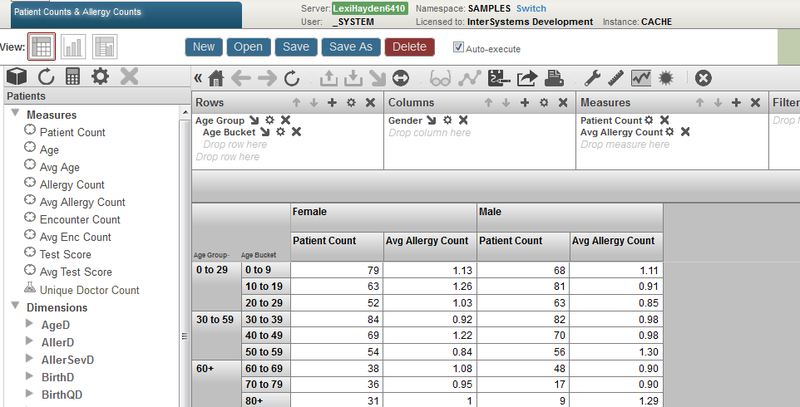 For information on Visual Reporting options, see Using DeepSee Visual Reporting. 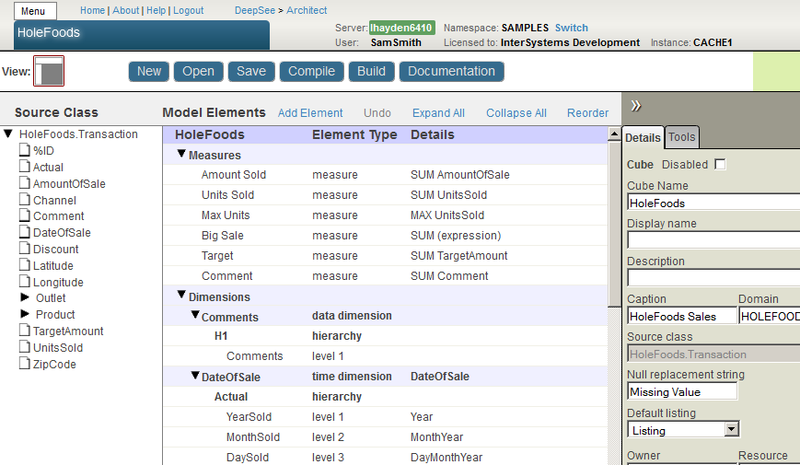 The Management Portal provides access to all DeepSee tools, including the back-end tools such as the Architect as well as the User Portal. 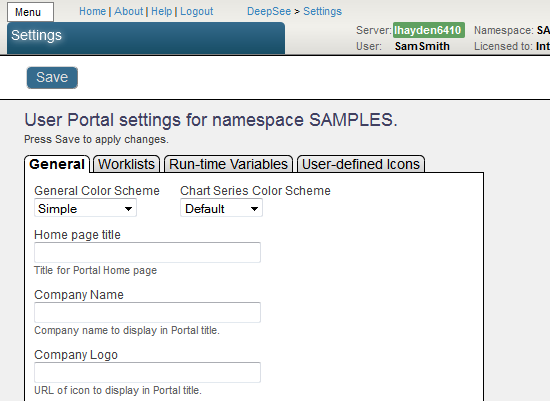 Because the User Portal is intended for end users, it does not enable most users to return to the Management Portal. The DeepSee Architect enables you to define cubes and subject areas. You can use this tool, Studio, or both together. For details, see Defining DeepSee Models. For information on the permissions needed to use this tool, see Setting Up Security in the DeepSee Implementation Guide. 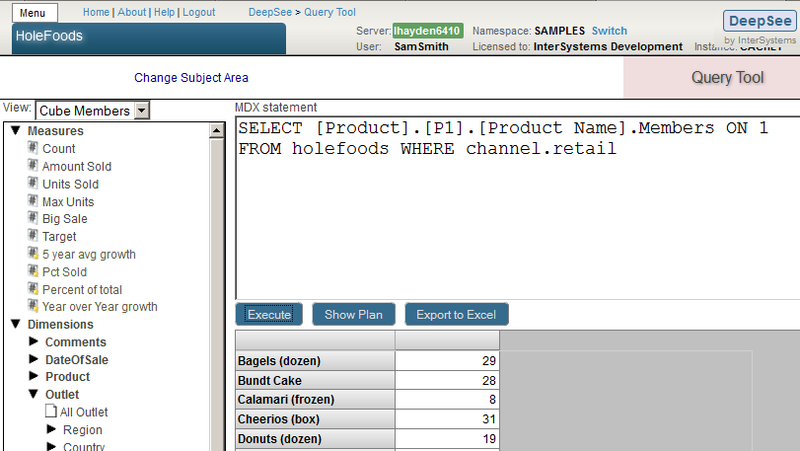 The DeepSee Analyzer enables you to define pivot tables. 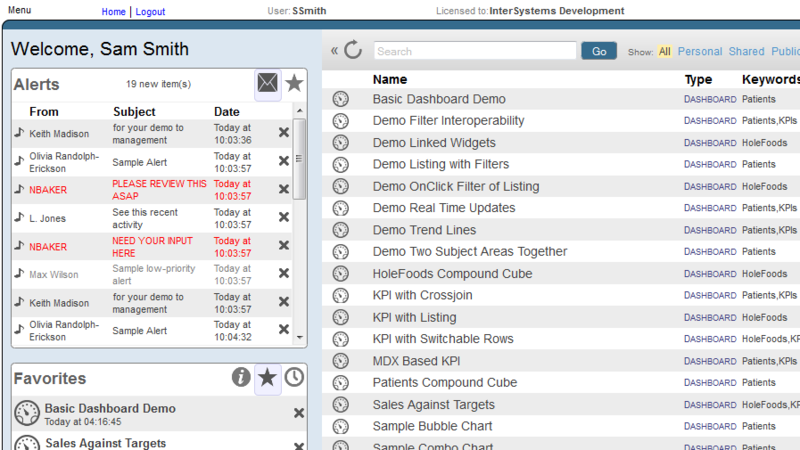 The Analyzer looks like the following. For information, see Using the DeepSee Analyzer. For information, see the DeepSee End User Guide. For an introduction to MDX, see Using MDX with DeepSee. For reference information on MDX, see the DeepSee MDX Reference. For information on creating term lists, see the Advanced DeepSee Modeling Guide. 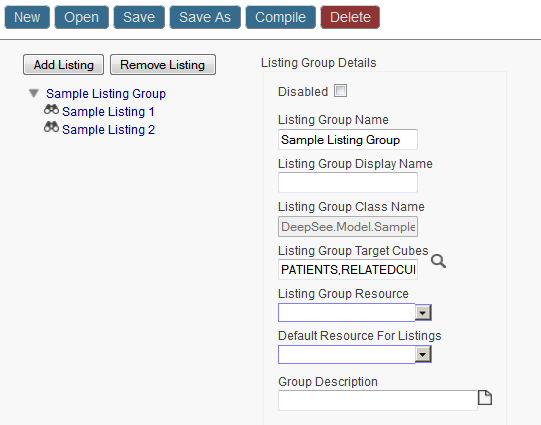 For information, see Defining Listing Groups in Defining DeepSee Models. For information, see Defining DeepSee Models. For information on the permissions needed to access this page, see Setting Up Security in the DeepSee Implementation Guide. 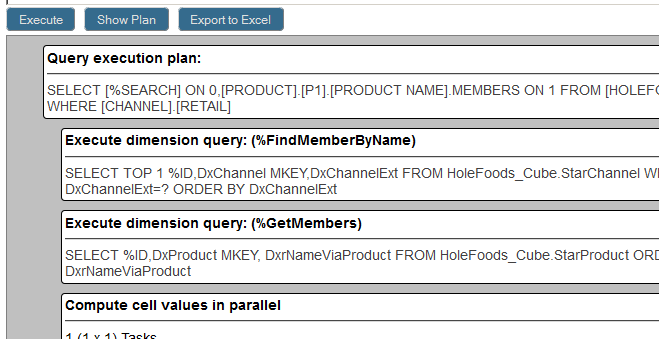 You can use this to export pivot tables and dashboards so that you can package their definitions into a class definition. See the DeepSee Implementation Guide. For information, see the DeepSee Implementation Guide. For details, see Keeping the Cubes Current in the DeepSee Implementation Guide.